Discover more about your ethnicity with AncestryDNA. By comparing your genetic signature to the DNA of people from the Americas, AncestryDNA can give you a clearer picture of your ethnic origins. North and South America were the last inhabited continents to be populated by humans. No more than 20,000 years ago, thanks to low sea levels, the first “immigrants” to the Americas were able to cross a land bridge from northern Asia into what is now Alaska and Canada via the Bering Strait. Much of the native population remained nomadic hunter-gatherers, but a number of more advanced cultures developed as well. Many places had rich soils, warm temperatures and plenty of rain. The Mississippian culture, centered in the region later named for it, farmed maize and had a complex, stratified society. The Mayans of Central America were highly advanced, known for their writing, astronomy, art, mathematics and highly developed religious institutions that built enormous stone pyramids. Later, the United States government adopted a policy of “civilizing” native tribes, encouraging indigenous people to give up many of their traditional ways so members could be assimilated into American society. As settlers continued moving westward, many tribes were relocated. However, there are still many Native American groups throughout North America that retain their indigenous languages and traditions, particularly in northern Canada and in Mexico. A few, like the Pima, who live along the Gila and Salt Rivers in modern-day Arizona, were able to keep at least parts of their traditional territory. North and South America were settled by at least three waves of migrants from Asia, who occupied the Americas from Canada to the southern tip of Chile. North America was initially occupied by people who came from Siberia and coastal North Asia. Probably fewer than 1,000 individuals crossed the Bering land bridge; they were likely tracking animal herds and discovered an expansive new territory. Native Americans appear to derive from this initial wave of migration. Mounting evidence suggests they dispersed rapidly along the western coast of the Americas, perhaps by sea, within a period of only about a thousand years. Not long after humans first appeared in today’s Alaska and the western United States, they had already settled as far south as the tip of modern-day Chile. Then they migrated inland. As settlers, these groups were dramatically successful: In only a few thousand years they had occupied virtually the entire landmass. The native people of the Americas are divided into several cultural regions. Cultures developed opportunistically as the first migration moved quickly down the Pacific coastline of the Americas and then inland. While these breakdowns vary, the North American regions typically include the Arctic, Subarctic, Northeast Woodlands, Southeast, Plains, Great Basin, Plateau, Northwest Coast, California and Southwest. Central and South American regions can be broken out into the cultural areas of Mesoamerica, Caribbean, Andean, Amazonian and Southern Cone (also called Cono). The Arctic area is cold, flat and treeless, a frozen desert near the Arctic Circle. It includes Greenland and parts of present-day Alaska and Canada. Climate and terrain made this region difficult to settle, and the population was scattered and small. The Arctic peoples lived in dome-shaped houses made of sod, timber or ice blocks. They used seal and otter skins to make waterproof clothes and traveled by dogsleds and kayak. The Subarctic cultures lived among the swampy, piney forests and waterlogged tundra that stretches across much of inland Alaska and Canada. Travel was difficult, and toboggans, snowshoes and lightweight canoes were the primary means of transportation. Population was sparse; people didn’t form large, permanent settlements. 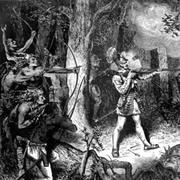 Indigenous groups included Athabaskan and Algonquian speakers, and the people were primarily nomadic hunters and gatherers. The Northeast cultures developed in the area from today’s Atlantic coast of Canada to North Carolina and inland to the Mississippi River Valley. Iroquoian and Algonquian speakers lived here in small farming and fishing villages along the ocean, growing crops such as corn, beans and vegetables. The Iroquoians were warriors. When the Europeans colonized the area and pressed westward, they displaced the indigenous people living here. The area of the Southeast cultures lay north of the Gulf of Mexico and south of the Northeast. It was a humid, fertile region, and its people became expert farmers, growing crops like maize, beans, squash, tobacco and sunflowers. The European settlers called the inhabitants the Five Civilized Tribes: Cherokee, Chickasaw, Choctaw, Creek and Seminole. They all spoke Muskogean languages. The Southeast culture area lost many of its native people to disease and displacement by the time of the American Revolution. Starting in 1830 the majority of these people were forced to relocate to Oklahoma in a migration called the Trail of Tears. The Plains cultures were found on the vast prairie region between the Mississippi River and the Rocky Mountains, from Canada to the Gulf of Mexico. Populations here consisted of relatively settled hunters and farmers. After Europeans made contact, bringing horses, this group became more nomadic, following great herds of buffalo across the prairie. Their dwellings were cone-shaped teepees, which could be folded up and carried anywhere. The Plains cultures were eventually forced onto U.S. government reservations. The Southwest cultures—which inhabited a huge desert region in Arizona and New Mexico, as well as parts of Colorado, Utah, Texas and Mexico—developed two different ways of life. Sedentary farmers lived in permanent settlements, growing crops like corn, beans and squash. They were Hopis, Zunis, Yaquis and Yumas. They lived in multistory pueblos built from stone and adobe. The other group was nomadic and survived by hunting, gathering and raiding the sedentary farmers. They included the Navajo and Apache. This area became part of the United States after the Mexican War, and the Southwest cultures were resettled on reservations. The boundaries for the Great Basin cultures were the Rocky Mountains to the east, the Sierra Nevada to the west, the Columbia Plateau to the north and the Colorado Plateau to the south. It was a barren wasteland of deserts, salt flats and brackish lakes. Most of the Great Basin peoples spoke Shoshonean, one of many Uto-Aztecan languages and dialects. They foraged for roots, seeds and nuts, as well as hunting snakes, lizards and small mammals. They were nomadic and lived in easily built wickiups made of willow poles or saplings, leaves and brush. After Europeans made contact, bringing horses to the region, the Great Basin tribes formed equestrian hunting and raiding bands. Most of these people lost their lands—and many lost their lives—as settlers pushed farther west. Before Europeans made contact, the California cultures’ homelands supported more people than any other area north of present-day Mexico. The region was temperate and hospitable, and the California peoples included approximately 100 different tribes and spoke at least 200 dialects of the Penutian, Hokan, Uto-Aztecan and Athapaskan languages. The California cultures didn’t farm the land, but organized themselves into small, family-based bands of hunter-gatherers called tribelets. Using systems of trade and common rights, they were peaceful people. Cultures of the Northwest Coast lived along the Pacific Coast, from British Columbia to the top of Northern California. The area had a mild climate and an abundance of natural resources. Inhabitants built permanent villages that housed hundreds of people and had a sophisticated, stratified social structure. Social status depended on possessions and how close a person was to the village chief. The Plateau cultures were found in the Columbia and Fraser River Basins, where many cultures intersected: Subarctic, Plains, Great Basin, California and Northwest Coast peoples all lived in modern-day Idaho, Montana, Washington and eastern Oregon. Most of the Plateau peoples lived in small, peaceful villages along streams and riverbanks. They were fishers, hunters and gatherers. The majority spoke languages derived from Penutian. When other native groups brought horses to the area, the Plateau peoples quickly integrated them into their culture and economy, and trading became a part of their lives. Most of these people were resettled on reservations. The Mesoamerican cultures inhabited an area that extends roughly from today’s central Mexico through Central America and into northern Costa Rica. This group is defined by a mosaic of cultural traits that were developed and shared by its indigenous cultures. When they domesticated turkeys and dogs and learned to cultivate maize, beans, squash and chilies, the Mesoamerican cultures evolved from Paleo-Indian, hunter-gatherer, tribal living into settled agricultural villages. The Mesoamerican peoples include many cultures, among which the Aztecs and the Mayans rose to prominence in their day. Their civilizations featured large ceremonial centers, and they traded gems and commodities. The Aztecs spoke Nahuatl and are best known for their mathematical expertise and accurate calendars. The Mayans had a written language and are known for their astronomy, art and architecture—as well as their calendar. The Aztecs were subjugated by the Spanish conquistadors by 1521. Some of the Mayans remained independent until the late 17th century. However, many aspects of Mesoamerican cultures, including languages, still survive to this day. The Caribbean cultures stem from nomadic foragers who migrated from Central America and later developed into well-organized agricultural communities with great social and political cohesion. The islands have significant cultural diversity within and among them. The cultures had extensive trade networks, knowledge of astronomy and navigation, strong spiritual traditions and high levels of artistic and craft expertise. They were the first to encounter Christopher Columbus and his men, so they were the first victims of the newcomers’ diseases and violence, and the population was almost destroyed. Today, however, many individuals and groups with indigenous Caribbean ancestry are reclaiming their cultural identity. The Andean cultural area spans mountainous, tropical and desert environments in and around the Andes mountain range. The region has been home to many different ethnic groups; Christopher Columbus called those he encountered “indios.” However, the most famous is the Incan civilization. The Incan Empire was enormous, flourishing from 1438 through 1533. The Incan language, Quechua, is still in use today. The Andean region has seen 10,000 years of cultural growth. Along with cultures in the Amazon Basin region, Andean cultures typically promote agriculture and knowledge of nature. A wide variety of domesticated species have come out of the region, and these cultures also use thousands of medicinal plants. The best-known tribe among Amazon Basin cultures is the Yanomami, which still survives today. Many indigenous tribes of this area have a vast knowledge of medicinal plants, and the outside world often observes the practices of their healers to learn more about the plants’ curative properties. The Amazon still has several small tribes that have never seen the outside world. More are being discovered through the use of satellites. Current practice is to leave these groups undisturbed, using aerial observations to learn more about them.